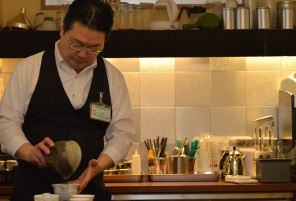 Nihoncha café is known as a shop by and for tea lovers. Today, we live in an era that demands much of our time. In the past, media was only the passing of information between individuals. We want to recreate an atmosphere of the past’s openness between people. Cafés serving coffee has become a common place for people to come together. But for Japanese people we believe tea is an intrinsic part of our culture, which is why we made Nihoncha café. Without a fundamental understanding of tea production and how teas are made, it becomes impossible to build relationships with tea growers within Japan. 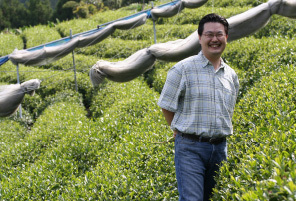 Continuously meeting with new growers expands the brewer’s knowledge and varieties of tea. 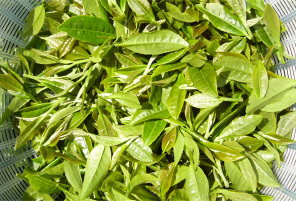 The varieties of teas are too numerous to count, depending on any number of factors such as elevation and weather. The flavors are equally uncountable. 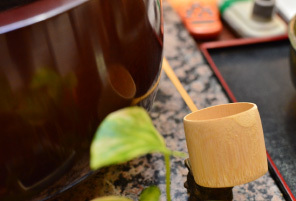 A true tea master understands all of the senses when it comes to tea. Not only the many tastes involved but also sights and sounds which create the experience. We hope to, in this modern era, bring back a time when tea was a part of our culture and daily lives. Our family shop was first established in the Taisho Era, by my grandfather. The shop went through many changes over the years. I went out on my own and joined a coffee chain (actually since my youth, I enjoyed coffee). After years of searching to create my own business, I returned to my families’ shop, which eventually become Nihoncha café. I spent time in my families’ shop learning the trade. But the world of tea was interesting to me, and I decided to learn as much as I could about it. I came to know experts in tea preparation. It was through these masters that my mind was opened to a new world. This inspired me to share that experience with the world.